This section of road is continually damaged in Major flood levels leaving the road closed for extensive periods of time. 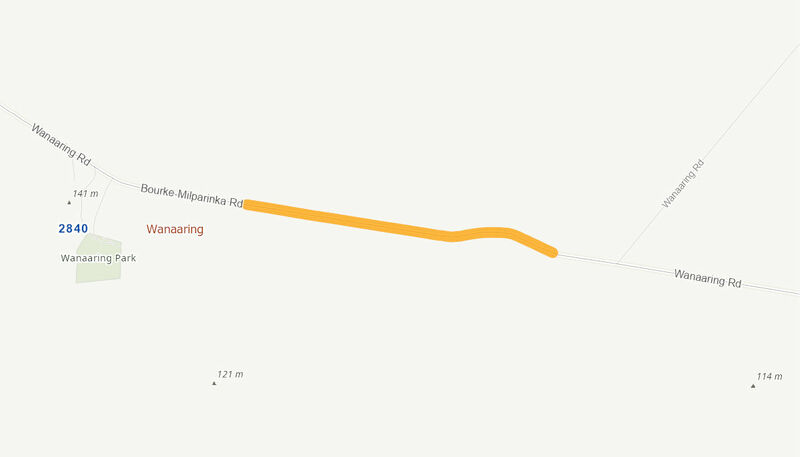 As a result of the Wanaaring Village Tours and Bourke Shire Council Ten Year Plan the residents of Wanaaring have requested for better drainage solutions to keep the road opened. Installation of 1500 millimetre by 1200 millimetre by five cell culverts and wing walls to allow for the appropriate volume of water to pass through without washing away the road. Raising the height and gravel resheeting the height of the road of 400 millimetres to prevent the road from being submerged.